When it’s time for a new toilet, you need someone who can get to your Greece, NY home quickly, figure out what needs to be done, order the parts or arrange for their delivery, and get them installed fast. 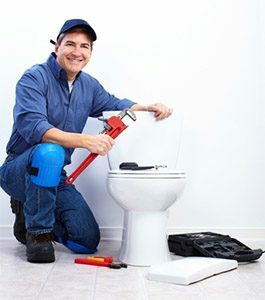 That’s what we are here for – to help you repair your toilet and install a new one, and to aid you with all your plumbing needs. At G. T. Campbell, we pride ourselves on being the plumber in Greece NY that people trust. So many people call us time and and time again, when they have plumbing problems, need to ask a few questions, or decide to remodel their homes. Let us show you why your neighbors trust us first when it comes to their plumbing problems. Sometimes, you decide to change out a toilet because you’re sick of the one you have or it isn’t working well for you anymore. Other times, though, you may not be sure what you need or want. Here are some things to look for as you’re making a decision about what to do with your toilet. Your toilet is leaking. Do you find water on the floor around your toilet? That’s a sign that the toilet’s internal seal is leaking. To fix that, we have to remove the toilet from the floor, repair the seal, and put the toilet back down. If you’ve been thinking about getting a new toilet and we have to take the old out one anyway, this is the perfect time. Just let us know and we’ll help you select a new toilet that meets your needs. Your toilet is cracked. Can you see cracks in the porcelain of your toilet’s bowl or tank? If you can, leaks are probably not too far away. Instead of dealing with not knowing when the leak will come, or potentially suffering catastrophic water damage, give us a call. We’ll let you know how dangerous your crack is likely to be. If you need to replace the toilet, we’ll help you through the process. Your toilet is old. Old toilets just don’t work as well, and they certainly don’t save water or money. Eventually, your old toilet is going to fail. If you’ve been thinking about upgrading anyway or you’d like to figure out if replacing the toilet would be cheaper than continuing to repair it, let our plumbers come out and assess the situation. We’ll let you know what we’d do if the toilet was in one of our homes, then we’ll help you make your choice. When you call us, you can be sure that you’re calling plumbers who will care for your home and your family, as well as your plumbing issues. We know that a toilet problem in your Greece home can have effects beyond the problem itself, so we work hard to make sure that you and your family can get back to your everyday lives as soon as possible.